A new study found that consuming less sodium wasn’t associated with lower blood pressure. The new findings call into question the sodium limits recommended by the current Dietary Guidelines for Americans. Lynn L. Moore, DSc, associate professor of medicine at Boston University School of Medicine, will present the new research at the American Society for Nutrition Scientific Sessions and annual meeting during the Experimental Biology 2017 meeting, to be held April 22-26 in Chicago. The 2015-2020 Dietary Guidelines for Americans recommends limiting sodium intake to 2,300 milligrams a day for healthy people. For the study, the researchers followed 2,632 men and women ages 30 to 64 years old who were part of the Framingham Offspring Study. The participants had normal blood pressure at the study’s start. However, over the next 16 years, the researchers found that the study participants who consumed less than 2,500 milligrams of sodium a day had higher blood pressure than participants who consumed higher amounts of sodium. 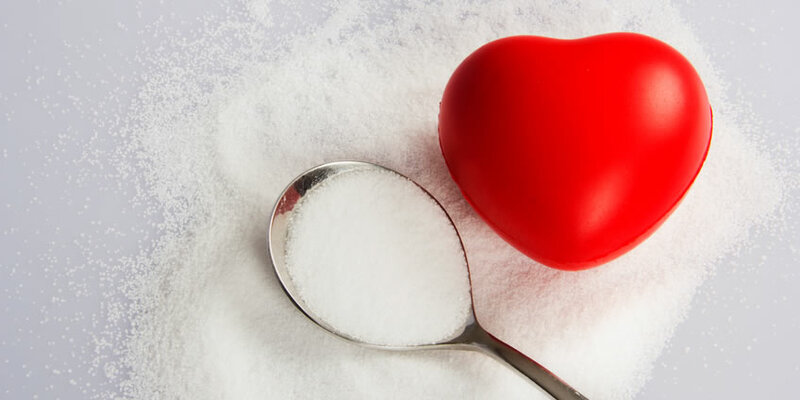 Other large studies published in the past few years have found what researchers call a J-shaped relationship between sodium and cardiovascular risk — that means people with low-sodium diets (as recommended by the Dietary Guidelines for Americans) and people with a very high sodium intake (above the usual intake of the average American) had higher risks of heart disease. Those with the lowest risk had sodium intakes in the middle, which is the range consumed by most Americans. The researchers also found that people in the study who had higher intakes of potassium, calcium and magnesium exhibited lower blood pressure over the long term. In Framingham, people with higher combined intakes of sodium (3,717 milligrams per day on average) and potassium (3,211 milligrams per day on average on average) had the lowest blood pressure. Moore says that there is likely a subset of people sensitive to salt who would benefit from lowering sodium intake, but more research is needed to develop easier methods to screen for salt sensitivity and to determine appropriate guidelines for intakes of sodium and potassium in this salt-sensitive group of people.